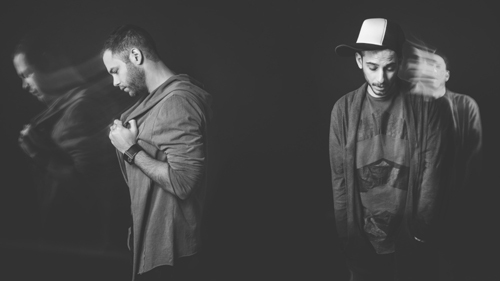 The Athens-based dj duo Gus & Bonso was formed in early 2007. Their experiences in electronic dance scene and a music style that leads in an accurate and modern track selection is what they aim to keep up in the greek dj circuit. During their partnership,they can look back on the biggest clubs all over Greece. To name a few: Animal club (Athens), PIXI (Athens), Six D.o.g.s. (Athens), Terraza (Athens), Blend club (Athens), Sixx – Playground (Athens), Monroe (Thes/ki), Club Division (Thes/ki), Barrage (Zante), Cabaret (Athens), Cavo Paradiso (Mykonos), Katavothres (Kefalonia), Cariocas (Schinos), Dybbuk – PlusX (Athens), Fuzz (Athens), Motel / Letom club (Athens), Mamacas (Athens), e.t.c. They also had the honour of playing alongside international djs and producers such as: Steve Bug, Matthew Jonson, Petre Inspirescu ,Tiefschwarz, M.a.n.d.y, Booka Shade, Adam Beyer, Guido Schneider, Dj T., Nick Curly, Terry Lee Brown Jr, Timewriter, Anja Schneider, Jullian Perez , Format B, Russ Yallop, Hot Since 82, Fur Coat, Matthias Meyer, Sebo K and more.In 2012 they made their first two international appearances (“Jimmy Woo” club, Amsterdam/NL – “The View” beach bar, Brighton/UK) with great success. In 2013 they appeared at Larnaca’s best beach club, “Ammos” in Cyprus.